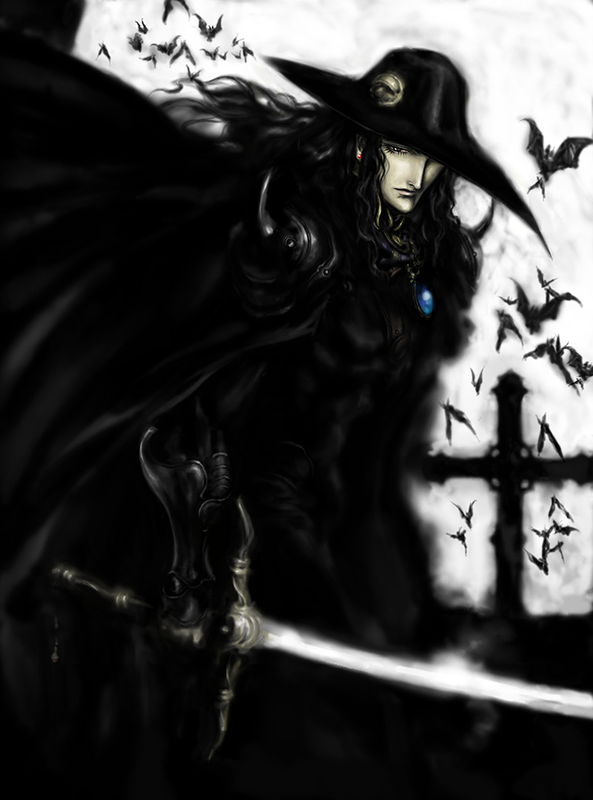 Vampire Hunter D: Bloodlust Home Video Release Details. Coming to Collector's Edition Blu-ray + DVD on May 28th 2018. Hi everyone! In recent weeks, we've been revealing our home video release plans for a number of big titles coming your way soon, from Sword Art Online the Movie: Ordinal Scale through to Re:Zero -Starting Life in Another World-, and from Fairy Tail: Dragon Cry to Rokka -Braves of the Six Flowers-. Today, we're offering up your first chance to take a look at our plans for another big title that's coming to the UK on Monday, 28th May 2018, that being Vampire Hunter D: Bloodlust, the cult classic 2000 film produced by MADHOUSE (Redline, Perfect Blue) and directed by none other than Yoshiaki Kawajiri (Ninja Scroll, Cyber City Oedo 808). Needless to say, we're giving the movie our usual Limited Collector's Edition Blu-ray/DVD treatment, alongside Standard DVD and Blu-ray editions which will follow shortly after - read on for all of the D-tails! Synopsis: "The enigmatic Vampire Hunter - known only as D - has been hired to track down Meier Link, a notoriously powerful vampire who has abducted a human woman named Charlotte Elbourne. D’s orders are strict - find Charlotte, at any cost. For the first time D faces serious competition. The Markus Brothers, a family of Vampire Hunters, have been hired for the same bounty. D must intercept Meier and conquer hostile forces on all sides in a deadly race against time. Despised by Vampires for his profession and by Humans for the blood in his veins, D relentlessly pursues his prey, little expecting where his journey will ultimately take him, as long-buried secrets resurface once more." WHAT'S PLANNED FOR OUR COLLECTOR's EDITION? As mentioned previously, Vampire Hunter D: Bloodlust is coming to the UK as a Limited Collector's Edition Blu-ray/DVD combo set. 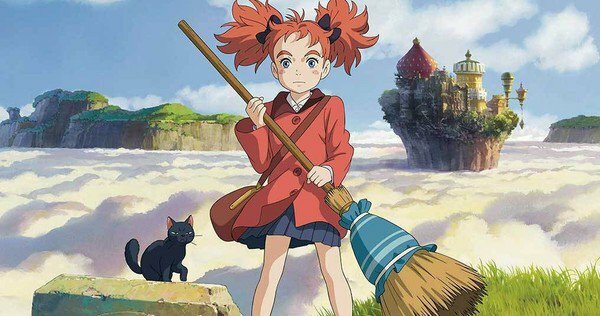 This particular edition of the film will initially be exclusive to our own AllTheAnime.com web shop, so we'll be your first port of call if you want to pick up the movie in this form. It's also worth noting that Standard Edition DVD and Blu-ray releases of the film will follow over the next few months (with exacts dates to be announced soon) - these editions will be released trade-wide and so will be available from all of the usual retailers in due course. Now, with that said and done, let's return our focus to this Collector's Edition and lift the lid on what this package will contain. Our release comes enclosed in a rigid box sporting the iconic promotional image for the film, while beneath the paper onsert at the rear you'll find another image of everyone's favourite vampire hunter. Inside, you'll find a suitably crucifix-adorned digipak, which contains the film on both Blu-ray and DVD as well as some further artwork beneath those two discs. Both the DVD and Blu-ray contain the film itself with a choice of English 5.1 and English stereo audio options - as the film was actually created for the western market, and as per other western releases elsewhere, English is the primary language for the film and thus also the sole audio option available here. Both formats additionally offer up optional Hard of Hearing subtitles for the film. Beyond the film itself, you'll find a wealth of trailers on the discs, created for the US, Japanese and Korean releases of the film, alongside a behind the scenes featurette, storyboards and an art gallery. That isn't all however - this Collector's Edition also contains a trio of art cards featuring striking images from the film itself, as well as a sixteen-page booklet featuring an article about Vampire Hunter D: Bloodlust crafted by Andrew Osmond. So there you have it - hopefully we've created a Collector's Edition of the film that you'll lust after as a new addition to your collection come May the 28th! 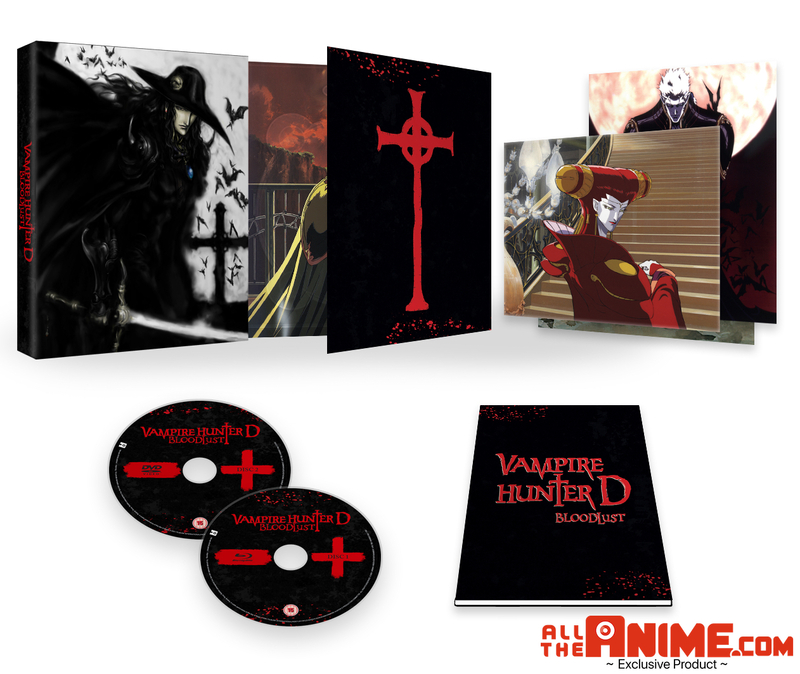 As noted, our Limited Collector's Edition of Vampire Hunter D: Bloodlust will initially be exclusive to our AllTheAnime.com web shop - you can find and pre-order the film now (yes, right now) at a price of just £19.99 using the link below! That's all we have for you in this blog post - what more is there to say other than head on over to our shop at the link above and pre-order your copy now! Meanwhile, if you're heading to the MCM London Comic Con later this month, we'll also have stock available for you there if you'd prefer to pick up a copy in person. We still have home video release plans for more forthcoming titles to reveal for you over the weeks to come, so as always keep on checking back for all of the latest, hottest news. We have a packed week of new releases to start the month of May with! 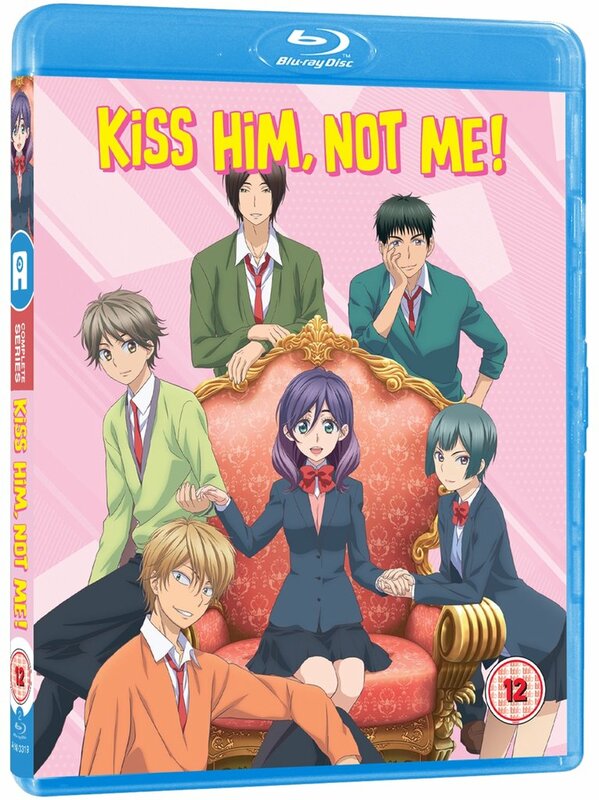 So if you've got a craving to add some new anime to your collection, here's a look at what's available from us now, plus details on a special offer we're currently having. Includes episodes 7-12 [end] of the of the series, and the Collector's Ed. version comes in collector's packaging that features loaded a 40-page book that follows on from where the book included with Part 1* (*sold separately) left off. Featuring character files, Revival Chronology, ERASED Key Animation Selection, an interview with the director of the series Tomohiko Ito. Synopsis: "Erased is a sci-fi thriller series based on the award winning manga series (2014 Manga Taisho Award) by Kei Sanbe. 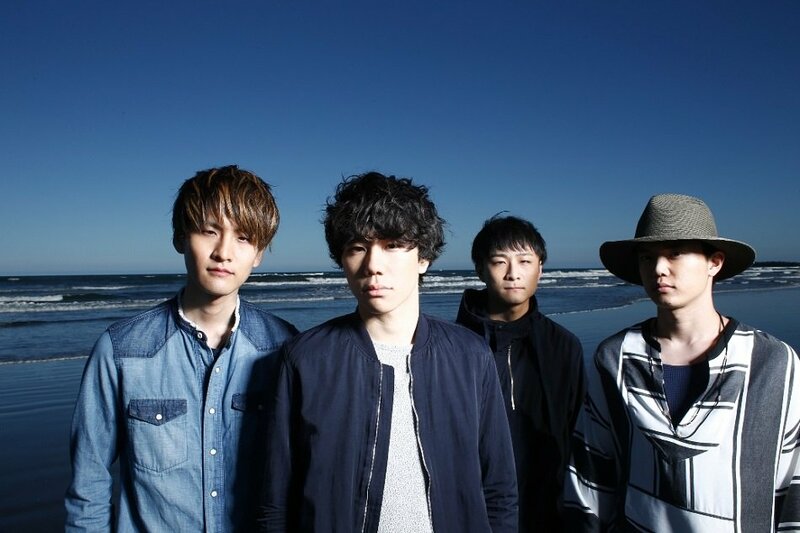 The dream production team includes director Tomohiko Ito (Sword Art Online), character designer Keigo Sasaki (Blue Exorcist), composer Yuki Kajiura (Sword Art Online), Fate/Zero, Madoka Magica), and animation studio A-1 Pictures (Sword Art Online, Your Lie in April, Blue Exorcist). The series finale that ends with a shocking yet emotional twist..."
On Disc extras: Audio commentaries for episodes 7,8,11 & 12, Textless Opening & Closing title sequences. -- Andrew Osmond compares the anime of Erased to it's live-action counterpart HERE. "Kae Serinuma believes one thing - princes belong together! As an avid boys’ love fan, she loves nothing more than fantasizing about faux relationships between the boys at her school. But when she loses weight due to the stress of her favorite anime character suddenly dying, the boys want…her?! From pretty average to prettiest girl, Kae just wants these boys to date each other, not her!" -- Want to read more about Kiss Him, Not Me? Have a read of this piece published at our blog HERE. Synopsis: From Masaaki Yuasa, director of Night is Short, Walk on Girl, Lu Over the Wall and The Tatami Galaxy. "Nishi has always loved Myon since they were little. And now as adults, he wants to pursue his dream of becoming a manga artist and marrying his childhood sweetheart. There's one problem, though. She's already been proposed to and thinks Nishi is too much of a wimp. But upon meeting the fiancé while at her family's diner and accepting him as a good guy, they encounter a couple of yakuza, only to have Nishi grasp a certain revelation. And, with his newly acquired look on life, adventures abound as he, Myon, and her sister, Yan, escape the yakuza into a most unlikely location where they meet an old man... "
For those of you looking forward to our release of Love Live! Sunshine! 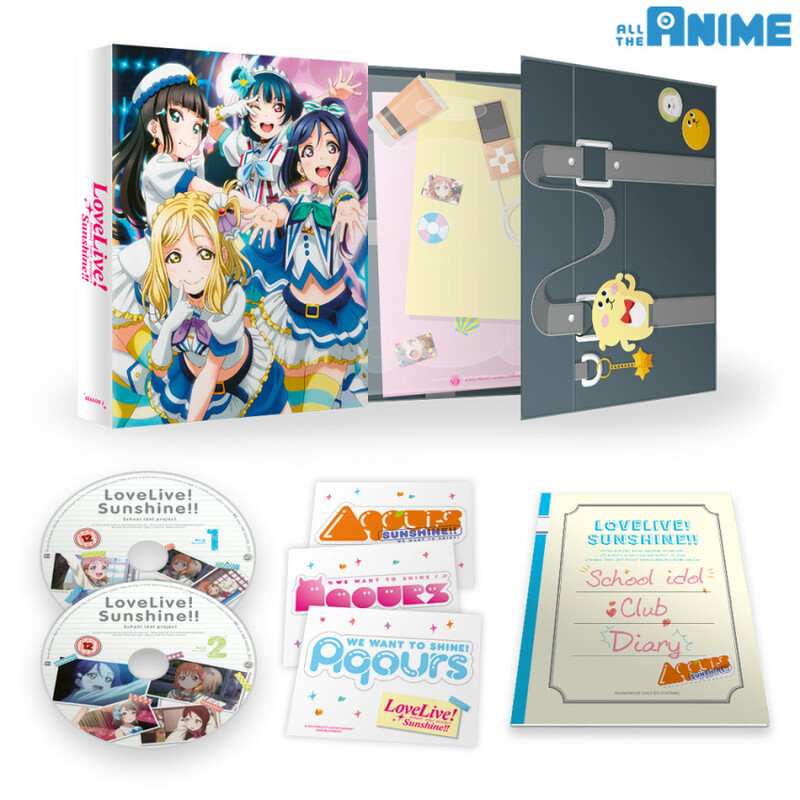 !, we're having a special offer at our AllTheAnime.com web shop until this Thursday (3rd May) on our Ltd Collector's Ed. Blu-ray release! Worth noting that this product is limited to only 500 units. So don't miss out on this! Click on the link below for more details. With so many major releases coming your way over the coming months, we've been offering you first glimpses at a number of our big titles - including a surprise or two - to whet your appetite recently. However, one big forthcoming release we haven't let you take a peek at yet is our home video release of Fairy Tail: Dragon Cry, which we know many of you loved when we brought it to UK cinemas last year. First up though, let's talk about the film itself in case you're not up to speed with Dragon Cry and what it's all about. 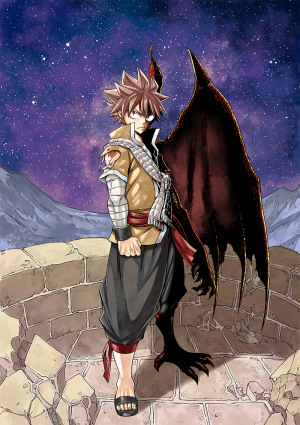 ABOUT "FAIRY TAIL: DRAGON CRY"
WHAT'S PLANNED FOR OUR DRAGON CRY RELEASE? Fairy Tail: Dragon Cry will be coming to the UK as a Blu-ray+DVD Limited Collector's Edition, as well as via Standard Edition Blu-ray and DVD editions, all of which will be available from Monday, 28th May 2018. 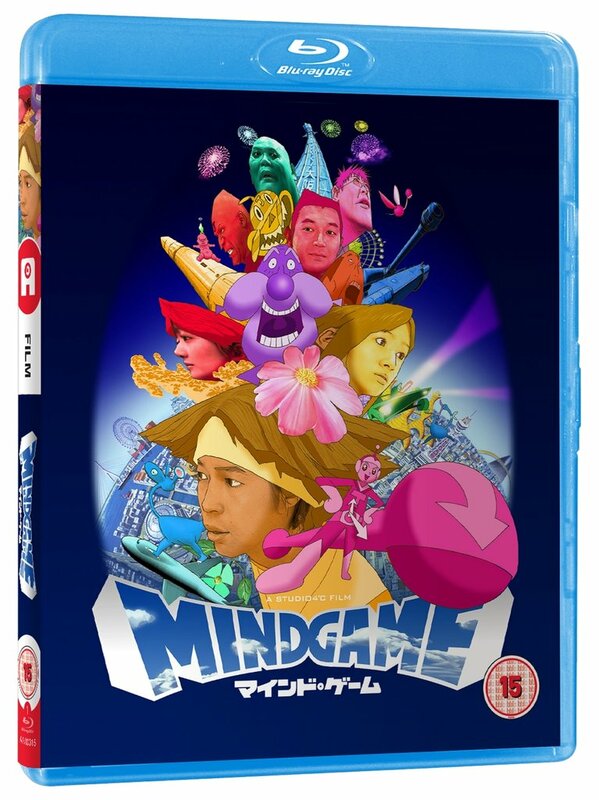 On the disc itself you'll find the film in full (featuring both English and Japanese 5.1 audio with English subtitles), alongside trailers and promotional videos for the movie on the Blu-ray. 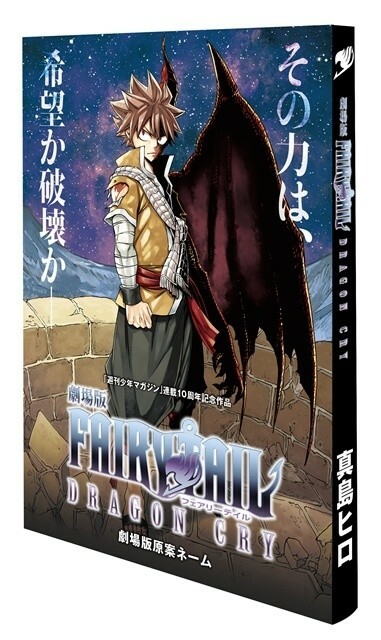 If you are planning to order Fairy Tail: Dragon Cry from our own online store, then you should read on for news of an exclusive - and strictly limited - bonus item that we'll be providing alongside this release. 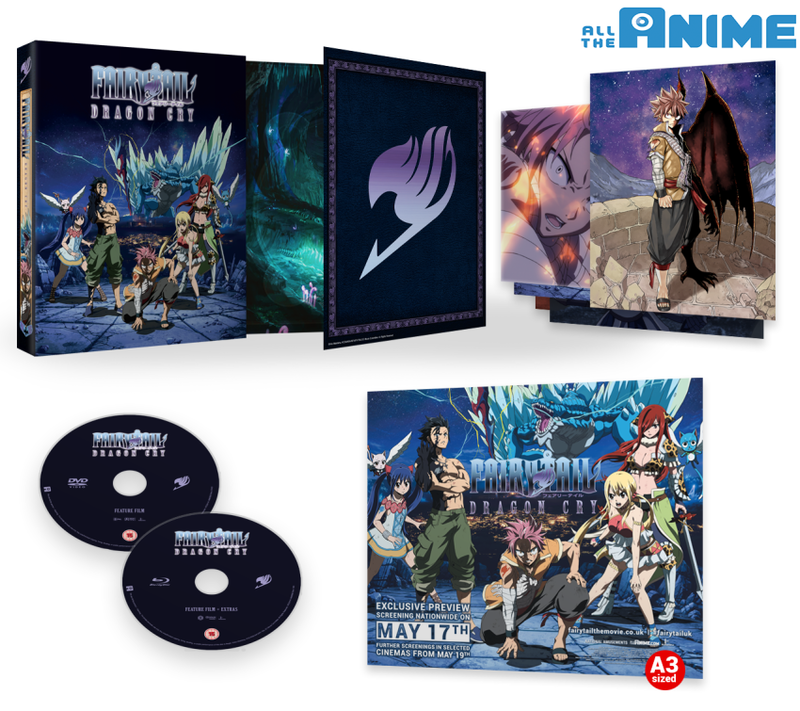 For those looking to pre-order our Limited Collector's Edition Blu-ray, we'll be offering the first fifty (and only fifty) customers who place a pre-order for Fairy Tail: Dragon Cry a copy of the official Japanese storyboard book for the film - this very same book was also distributed to some attendees of the film's original theatrical release in Japan. This book totals 200 pages and is packed with draft storyboards from the original creator of the Fairy Tail manga, Hiro Mashima. It's full of fascinating insight into the creative process around Dragon Cry and is a must-have for fans of the film, or indeed of Fairy Tail as a whole. As we noted previously, pre-orders for our Collector's Edition will open on Friday, 18th May at around 5PM, so be sure to check the shop listing below then to be amongst the first to pre-order and ensure you nab a copy of the film which includes this bonus item! Stock of this storyboard will be allocated strictly on a first-come, first-served basis as orders are received, so when it's gone, it's gone. And that's that for our look at Fairy Tail: Dragon Cry on home video! We hope to see you around on May 18th when pre-orders open, and as a final reminder all of our editions of the film will be hitting retail stores on Monday, 28th May 2018.